Grief and loss can often send your friends running to the hills. They are scared to overwhelm you, say the wrong thing, or just don’t know how to handle mourning. Before now, I didn’t really understand what a grieving friend of mine would need. These last couple weeks have shown me how important it is to have a tribe around you when you lose someone. If you happen to be one of those friends that tend to run for the hills or never know what to do, this post is for you. I’ve been there, not knowing what to do, but wanting to help. Now I’ve been on the other side where all I need is the help. 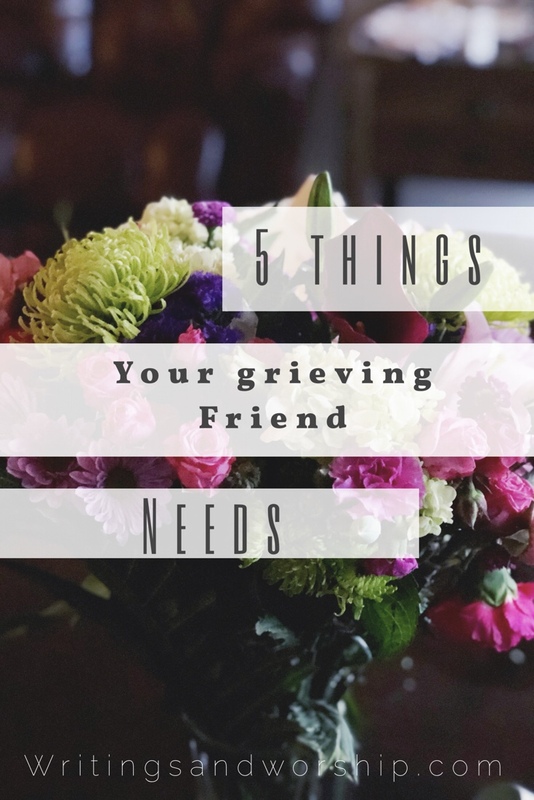 I’m sure these won’t work for every grieving person because everyone is different but these are just 5 basic things they might need. Today, I thought I would share a few things that your grieving friends need. Maybe this will help you be able to better serve your friends that are grieving and dealing with an immeasurable loss. Your grieving friend will need your patience as they experience a wide range of emotions. Do not pressure them to get over the loss faster, to answer all your texts/calls immediately, and be ready to get back to normal life ASAP. Your patience will mean the world to your grieving friend. Grieving can be a long and difficult road; a road that no one wants to be on. So if you can give your friend some patience and just let them do their own thing while they experience it…it’ll be a blessing. Just be there for them when they are ready. Remember that mourning and grief are a long process. Your friend won’t be better overnight. The one thing that my friends have done that has been the biggest help is letting me talk. Letting me tell them about that day, tell them how great my dad was, tell them how awful I feel. 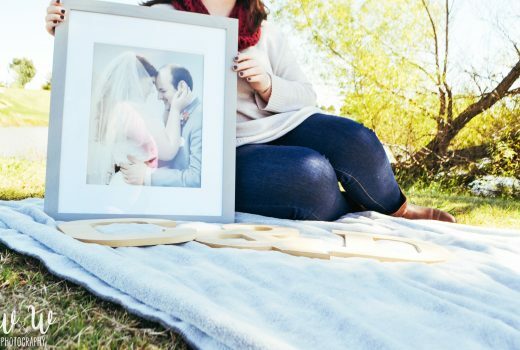 Chances are you might already know those stories and could even be sick of hearing about the day they lost someone…but that could be how they cope. For me, I hate thinking about that day we lost my dad but sometimes, it helps to discuss it out loud. My friends have been so supportive and let me ramble away when I need too. I bet if you have a friend that is grieving they might need you just to listen. Don’t try to fix things or say something profound…just listen. Let me speak for your grieving friend for a moment, I am not in a place to keep up texting you but I also need to hear from you. Your grieving friend needs you to be proactive about texts, calls, quality time, etc. Most of the time, I really want to talk to my friends…but honestly, I don’t even know how to start. A simple “thinking of you today” or “want me to bring a coffee by” is a wonderful thing to someone who is grieving. I know this one can go both ways. Some of you might not want to be a bother so you won’t be proactive but I guarantee your grieving friend might be worried about the same thing. They don’t want to overwhelm you with their loss. You being proactive is a nice way to show you care and just use common sense! You know your friend and know what they might need and how much attention they can take. The first few weeks, especially, I couldn’t even find the words to pray. My heart was so heavy and so broken that I was just so overwhelmed. But I had many, many friends interceding in prayer for me and my family and boy was it obvious. Even when I couldn’t gather a prayer together, I got through each step of the memorial planning and the actual memorial. I firmly believe I wouldn’t have got out of bed at all if it weren’t for the people praying on my behalf. Your grieving friend needs you to step up and pray on their behalf. Chances are they also cannot form prayers and could even be angry. This is an important time for you, as their friend, to intercede in prayer for them and cover them in prayer. More than anything, this is what they need. Lastly, they just need you. Your presence, your support, your texts, your hugs…just you. They might need you to sit in silence while they cry. They might need you to pick up a hot tea and come watch a movie. Each person is different but eventually, they will need you. As their friend, you will either know when they need you or won’t mind asking. One of my best friends literally said, “I don’t know if you want me to come over now or later, I’ll be there whenever I just need you to tell me.” She knew I needed her to come but wasn’t sure when so I told her. Just be ready to be there when they need it. Don’t give up on them. Many times in the midst of grief- depression can take over. Even if you don’t fully understand grief, anxiety, or depression…try your best to be there for them through it all. If you’d like to learn more about depression too better understand your grieving friend, BetterHelp has some great articles. If you have a grieving friend, I hope these 5 things help you. And hey, if you’re my friend and don’t know what to do, maybe these will help you too. The most important thing is to let them grieve in their own way and be there for them the whole step of the way. Don’t expect their sadness and pain to be over in a day. They will be forever grateful. Such a thoughtful post- patience is definitely key with helping others with grieve. you are so thoughtful to offer tips for a friend in need. I love that you ended with the most important… they just need YOU, just showing up, just the thought, just letting them know you see them! Exactly! Just knowing my friends would be right there meant so much. Definitely interesting article. I guess it’s so personal. Most of my friends incl me want just piece, but I can imagine that there are people who want attention and this definitely might help! Will keep in my mind for them! It’s definitely a personal thing. These are just the things I noticed I needed while I have been grieving. I’m sure everyone is different. 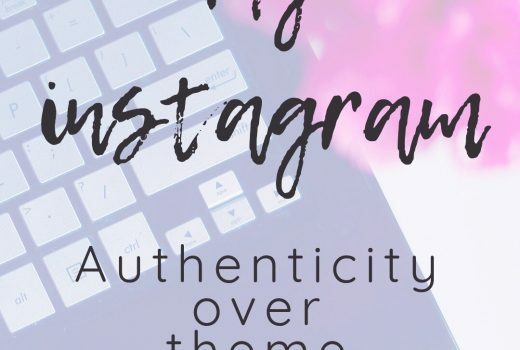 Very useful summary and advice. It is always hard to think of the right things to do or to say, when it comes to such delicate subject. Staying available and giving the other person enough space and maintaining balance between the two is the key. Yes! It’s something that sounds hard but I bet if it’s a close enough friend you’ll know what they need. This is very powerful and definitely needs to be heard. I completely agree with the part about listening and trying not to fix things…definitely something I need to work on. This was beautiful. Thank you so much. Those kind words meant a lot to me! It’s definitely something I need to work on too. I never realized how important that was until I was on the other side.